Lack of confidence in the US economy will push gold to mid-$1,800s by year end, says Thomson Reuters GFMS that launched its Gold Survey 2013 yesterday. The consultancy conceded the recent weak gold markets but says the economic data is patchy and an underlying weakness persists. 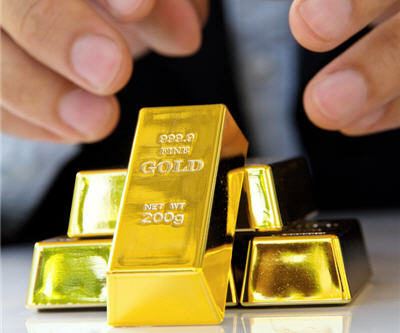 “Gold is likely to remain very sensitive to US monetary policy and even though we’ve had some hawkish noise from some within the Fed, it’s difficult to see a material unwinding of the QE programme until well into 2014 and so that should continue to underpin the gold price in 2013,” writes Neil Meader, head of precious metals research and forecasts at Thomson Reuters GFMS. Low interest rates could spike inflation and more shocks out of Europe are expected, such as the recent debacle in Cyprus. The consultancy calls the supply side sluggish. Major projects have been slow to start and labour disruprtions in South Africa have hurt production. On the demand side the strong US dollar and gold's faltering momentum have both taken a toll. Today gold ticked up to $1,581 after poor payroll numbers in the US. Gold is lifting itself up for a 10-month low it hit on Thursday.